Is Google's CEO Wearing A Bullet Proof Vest On Twitter? Is Google’s CEO Wearing A Bullet Proof Vest On Twitter? 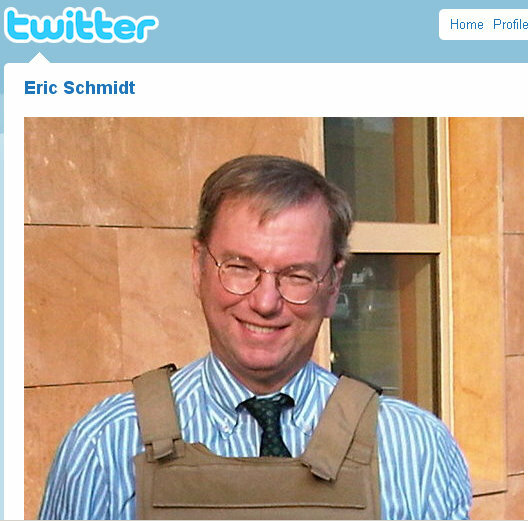 As I was writing the article about Google Super Bowl Ad, I visited Eric Schmidt’s Twitter profile. As you probably know, Eric Schmidt is the CEO of Google. So anyway, while I was there, I couldn’t help but notice his Twitter profile picture. 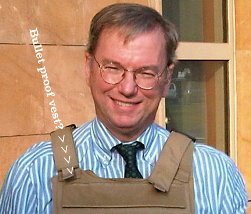 It’s a casual picture, with the standard Eric Schmidt smile, but what I couldn’t help but notice was what he was wearing. Is that a bullet proof vest?